An extremely talented bloggie friend, Anita from France (My Papercraft World), had a birthday on February 18th and she kept it under her sunbonnet until after it was over. Like that was going to keep us from throwing a birthday party for her! NOT!! SURPRISE!! SURPRISE!! The credit for this surprise party goes to the delightful Bev of Happy Dance! I had an InLinkz button, which you can find at the end of this post, so I offered to host the party for all of Anita's friends to link their cards. I hope you will join in and make a card to link for Anita! 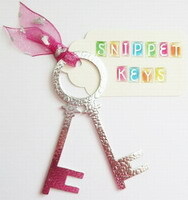 The link-up will remain open for two weeks until April 1st. Even if you don't get the chance to join in with your card, I do hope you will click on the thumbnails in the gallery and stop in to visit the other card artists! They are each and everyone so inspiring! Thank you, dear Bev, for the idea to have this surprise party for our sweet friend, Anita!! I decided to take the opportunity to DJKASE one of Anita's brilliant cards. 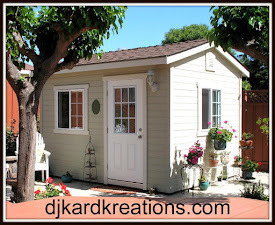 If you don't already swoon over Anita's works of art, you soon will be when you visit her blog! It was terribly hard to settle on one of her cards to copyliment!! I finally decided on the card below, which you can find on Anita's blog here. ~ And here is mine. This one is for you Anita, made with love and best wishes!! The image is NBUS by Crafy Individuals. I colored the image with my markers directly onto the stamp, spritzed, and applied. Then I embossed the image with copper embossing powder by Stampa Rosa and overcolored it with Wink of Stella. The sediment is from PTI's "Birthday Bash Sentiments," punctuated with a tiny star sequint. It looks like sparkly embroidery IRL. 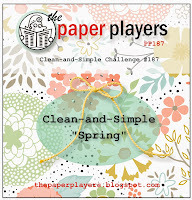 I'm linking it with the new "Clean-and-Simple Spring" challenge by Jaydee at The Paper Players. I am editing this to also play again in the One-Layer Simplicity Challenge since I colored and then spritzed my stamp. These are both fun challenges and I hope to see you there! 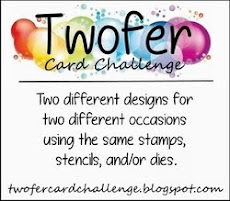 Anita, each of your friends is going to post their birthday card for you on their blogs and then link it up to the gallery below, just like for a challenge. The InLinkz button will remain open for two weeks so your other friends who are just hearing about this today can join in the fun!! You will always have this gallery of your birthday cards to look back on in one place. Cool, huh? Just like you!! Enjoy!! And may you have many, many more wonderful birthdays!! Mwah! Gorgeous CASE of Anita's card, Darnell! Your flowers are so pretty, and I love all the sparkle! Thanks so much to you and Bev for helping all of us out with this wonderful birthday party...I'm sure Anita will be surprised and delighted! Gorgeous card Darnell. I'm sure Anita will be blown away by this card and party! Happy birthday Anita. Not sure whether I will get time to join in - life is taking over at the moment and crafting time is limited! Um hello...picking my jaw up off the floor at your incredible coloring Darnell. This card is amazing and I'm sure that Anita will love it! Awww...you are the "niciest" friend to do this...and a wonderful card, too...love all the sparkle and it does look like embroidery, too..pretty~pretty!! A beautiful and stunning card Darnell. The sparkle is brilliant. Pretty card. Happy Birthday to your friend. Your card is beautiful and so sparkly. I see the embroidery look. Anita will love you for this. Thanks Darnell for organizing this - love your card - great idea to CASE one of Anita's! Your card is absolutely beautiful, Darnell and what a clever idea to CASE one of Anita's cards!! Anita is going to love it!!! Thank you soooo much of organizing this belated birthday party for Anita!! I think everybody appreciates what you've done!! You're a star!! Stunning creation! The bronze ep looks amazing, especially winking with a bit of Stella! Wow - love the depth and richness of the colours! Thanks for hosting! Gorgeous card, Darnell...a great CASE of Anita's pretty card! Thanks for hosting the birthday hop...Anita is lucky to have bloggy friends like you and Bev! Lovely CASE of Anita's card, Darnell! 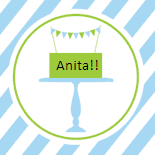 What a sweet thing to do for our sweet bloggy friend Anita!!! She is going to love it! Total thud on this card, Darnell!! Even Miss Thing was squealing when she saw this!! SO sweet of you and Bev to head this up!! Anita is going to be over the moon - with the party, and the card!! Gorgeous! It does look like a beautiful embroidery. I'm so glad you shared how you achieved the look. Thanks again for organizing this!!! STUNNING floral card Darnell!! You REALLY outdid yourself here ~ love it! Love your botanical card! I feel like I'm in the meadow with them right now. Happy BEElated to Anita. How fun to spring this surprise on her. Wow Darnell, your card is stunning! I have to go through my floral stamps and think about which ones I could stamp and emboss in this way... Thank you for the inspiration! The gallery looks amazing. I'm sure Anita will be thrilled! What a beautiful garden! Such bright and pretty flowers that do look like embroidery! Your card is absolutely stunning. I just love it. What a brilliant idea to CASE Anita. Gosh, I wish I had thought of that. Thanks so much for organizing and hosting this party and for including me. You are some special friend Darnell blogging has never been the same since I discovered you. You are such a generous and talented crafter. I don't know how you find the time in your day to visit us all and leave your wonderful pearls of wisdom . Thanks so much for inviting me along to the party as through your blog I was introduced to Anita , a beautiful kindhearted and very talented lady.You cased her card perfectly and it does indeed look like a tapestry so rich and spring like . Well done to you and Bev for organizing this wonderful party. Wow Darnell your card is gorgeous!! What a fun BD party for Anita! Thanks for hosting! Beautiful cards, both of them! I love your CASE one, such beautiful flowers and colouring. What a gorgeous card. It's so beautiful. Totally gorgeous card Dippy. It looks so intricate as if you've embroidered it. Thanks so much for hosting this surprise for Anita - you're a star! Awesome card! I LOVE your take on Anita's card!!! Darnell - this is awesome!! I love how you colored the stamp and it still looks so crisp. I have to try misting the stamp with water instead of huffing on it. Misting really seems to make all the difference. I think this card is a winner as it really makes me think of spring and it is so delightfully CAS with the sweet frame. Thank you so much again, Darnell, for all the work you did setting up the linky thingy and giving us such detailed instructions! Another beautiful DJKASE! 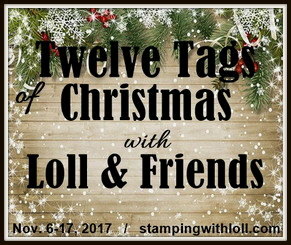 I would have never thought of using copper embossing powder! It does look like embroidered - fabulous! What a lovely way to celebrate a birthday! Anita must be so pleased with all these beautiful cards, including your great CASE of her card! Wonderful card, wonderful party, wonderful YOU! Really love your sparkly needlework, and how you DJCASEd Anita's equally beautiful card. Your star sequin is just the right touch, like a signature on your art : ) Thanks for organizing, Darnell!! Thank you Darnell , for the nice coment you left about the light bulb card. Unfortunately, I did not win elsewhere, but be in the top 3 at Shopping our Stash is already very good! A wonderful initiative for Anita and ...your card is just gorgeous ! What a beautiful card, Darnell! I absolutely LOVE that copper embossing. And, what an awesome idea to have a Birthday Party full of awesome cards for your friend in France. Way to go! Darnell what a fabulous card that you made for Anita, I know she will love it! The scoring is the perfect addition! I don't know Anita, but Happy Borthday to her!!! What a bunch of great friend to put on a bithday party!!!! I love your card, it looks gorgeous!! Gorgeous card Darnell what pretty flowers you have created. I love the copper detail on it. What a lovely idea for sweet Anita, I will do my best to join in soon. Thank you for birthday wishes for my daughter (46) and my baby...Goodness where did those years go! A birthday party - how fun! Your card is a lovely tribute to Anita. It does look like embroidery. I hope I'll have some time Friday to get a card made. WOW! That is some NBUS, Lady!I'm loving what you did with the markers, and would never think of embossing over that. It really sent this pretty floral into overdrive! Will see if I can get a card ready to wish Anita a Big Happy. Don't think I 'know' her, so will have to check out that link. Well done, Our Darnell! TFS & as always, big hugs. Absolutely stunning, Darnell! Thanks for sharing it with The Paper Players this week! Darnell, what a fun and special way to honor an amazing stamper! I love Anita's card, and I love yours, too! Stunning DJKSED card Darnell, I bet it looks even better in real life. A fantastic take on Anita's beautiful card. What a sweet idea! Darnell, your card is spectacular! My favorite of yours to date! So lovely, and the copper embossing powder is a WOW! Darnell...finally getting caught up on comments. Thank you so much for all you have done to make Anita's birthday party so much fun! It was such a fun treat to be part of it. And your card is amazing, fabulous and sweet flowers and it looks just like something Anita will love! I know Anita loves your CASE--really does look like embroidery! Your card looks like a painting! Happy belated birthday to your friend, and it is so nice of you to do this for your friend. Your card is fabulous! It really does look like you spent hours and hours stitching the flowers! Congratulations on your One-Layer Card recognition Darnell!